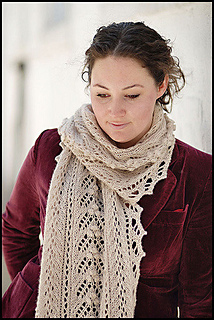 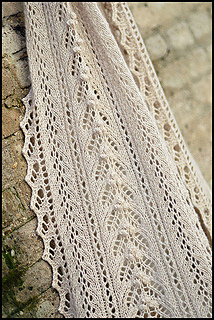 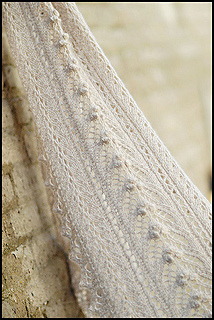 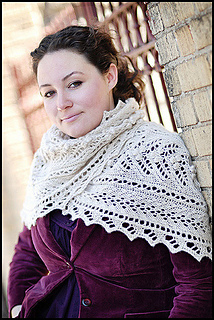 A luscious lace stole worked in DK-weight cashmere. 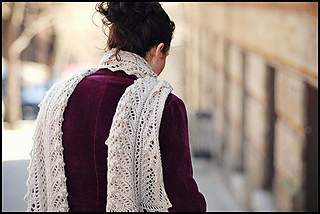 Cozy up with Willoughby as a scarf in street clothes or dress it up as a wrap for evening wear. 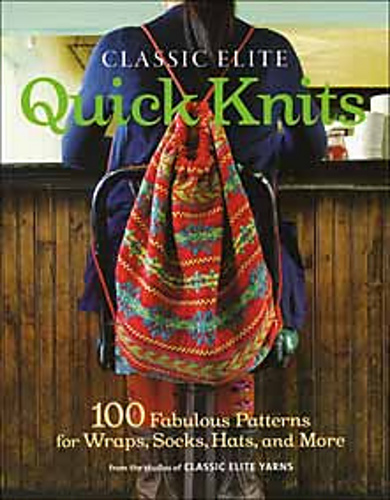 Note: Pattern instructions are charted. 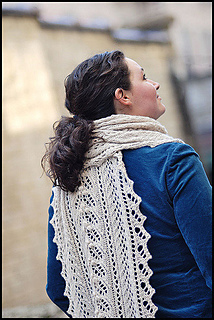 This pattern is available in Jared’s Made in Brooklyn Collection published by Classic Elite Yarns, or as an individual Ravelry Download. 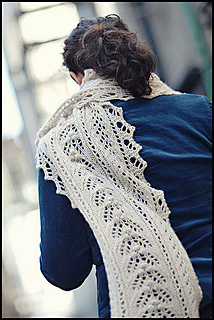 To purchase this pattern as a PDF, click the ”Buy It Now” link above.